Exploring Leshan Giant Buddha & Mount Emei (Emeishan)-World Heritage Sites and discover the Buddhism culture and natural landscape together! Famous for the giant height of 71 meters and the superb stone carving, Leshan Giant Buddha is such a wonder sitting along the river side of Leshan for over 1200 years’ history. From the elaborate external body to the ingenious drainage system inside, the Leshan Buddha present you the wisdom and Buddhism statue in Tang dynasty. Similarly, Mount Emei as one of the four Buddhist Mountains in China, shows the greatness of Buddhism combined with breathtaking natural scenery. 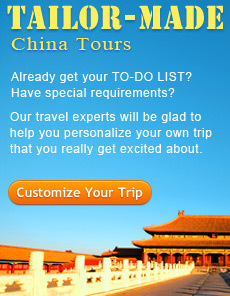 With a short distance of over 100 km, from Chengdu to Leshan & Mt. 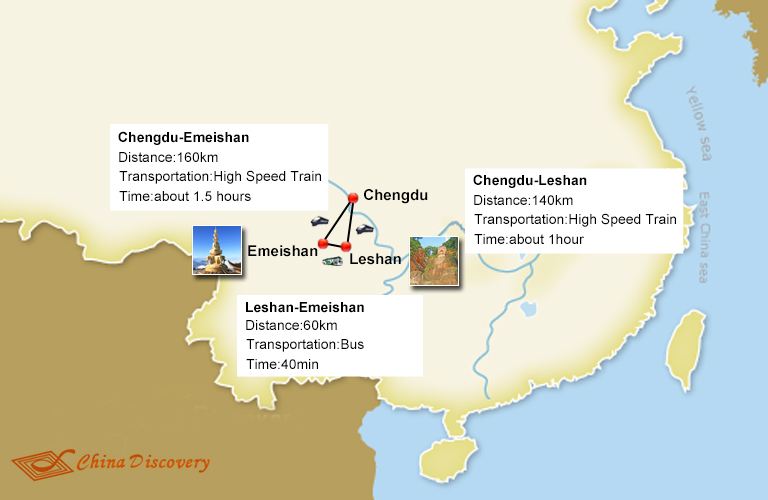 Emei by high-speed train in full day covered is most convenient or you may take bus from Chengdu to Leshan & Emeishan as another choice. 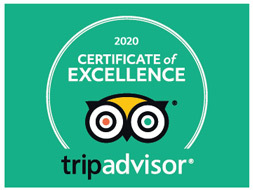 Depending on our local travel experience, we provide useful information about how to plan your Leshan Mount Emei Tours, the local highlights and way to transfer from Chengdu to Leshan and Mount Emei. 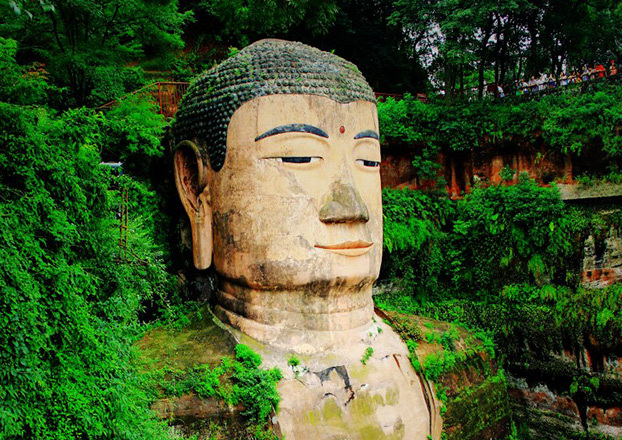 If you want to explore Leshan Giant Buddha or Mount Emei in a single way, here are the detailed scenic spots introduction and the transportation guide for your reference. 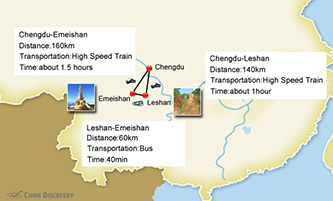 Below are the top 4 Leshan Emeishan tours from Chengdu by our private car or high-speed train for you. With local service, during your 4-5 days, you can not only have the trip to Leshan Giant Buddha & Mount Emei, but also enjoy one or two days in Chengdu and around. A great chance to explore the highlights of Chengdu, the hometown of Giant pandas, with a 2-days surrounding tour to Leshan and Mt. Emei. Witness the world largest Giant Buddha of Leshan and hike to enjoying the breathtaking scenery of Mount Emei. 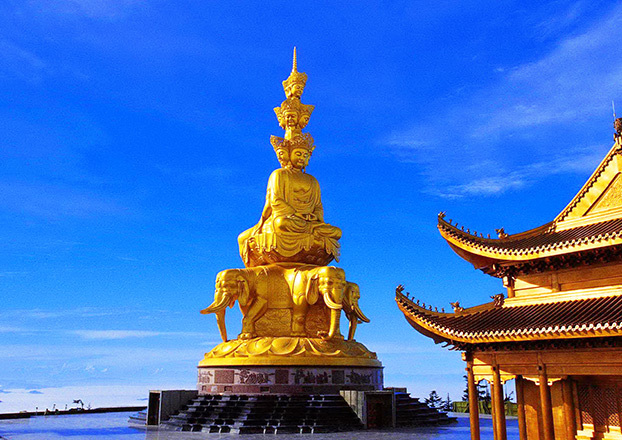 Explore the Buddhism around Chengdu to Leshan Giant Buddha and enjoy the stunning nature scenery in Mount Emei Scenic Area, where you can climb to the Golden Summit to enjoy the sun rise and sea of clouds. Leshan Giant Buddha and Mt. 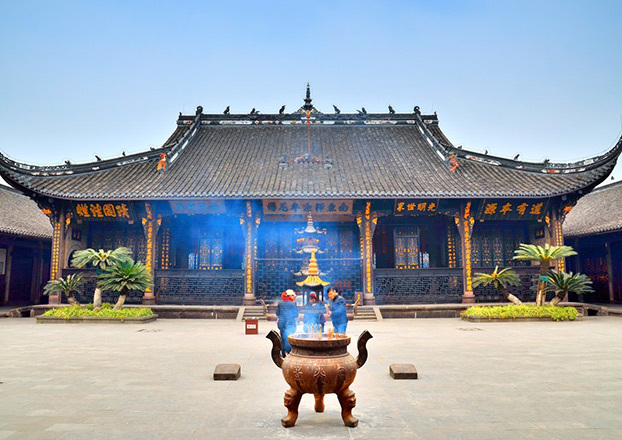 Emei are both the recommended world heritages in Sichuan, where you will be amazed by the natural beauty of the mountains and experience the authentic culture and local history. 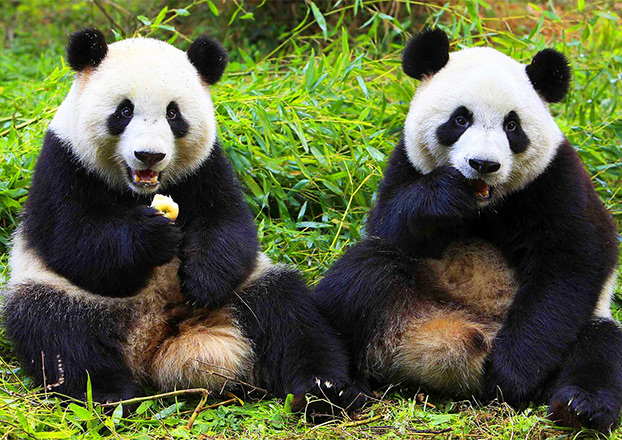 What's more you can visit and have fun with cute pandas in Chengdu Panda Base. Formed in Chengdu as the center, the surroundings landscape are various in high mountains and deep rivers. Together with high altitude of Mount Emei, the Jiuzhaigou is must mentioned for its waterscape and authentic nature; Drive to Dujiangyan for Panda visit can delight you more. 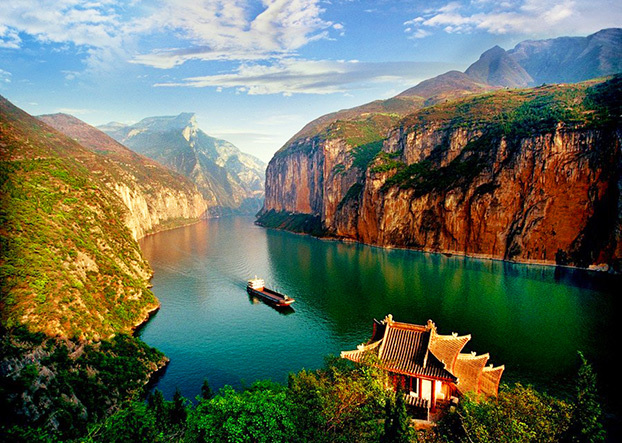 Go further to find Yangtze River in Chongqing is another enjoyment to travel between landscapes. 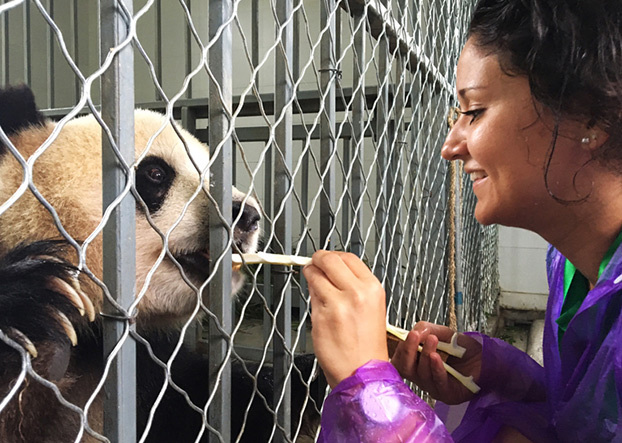 Take 2 more days around Chengdu to experience volunteer work in Dujiangyan Panda Base and have a close interaction. 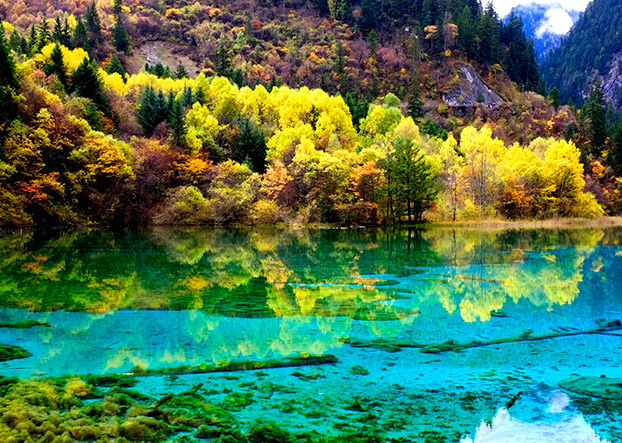 Get a glimpse of Jiuzhaigou nature by spending another 3-4 days before Leshan Mt.Emei tour and enjoy a best waterscape and mountain landform in Sichuan. 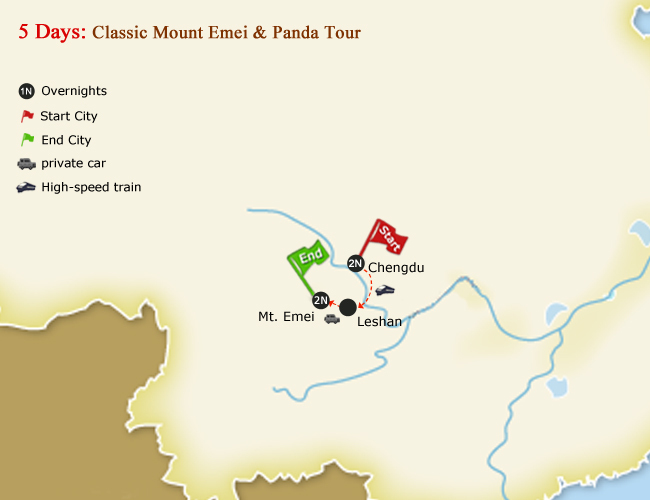 Back from Mount Emei to Chengdu, and take 2 hour high-speed train to Chongqing to continue your carefree Yangtze River Cruise.